Discover A Deeply Restful Stay In Spacious, Bi-level Rooms. 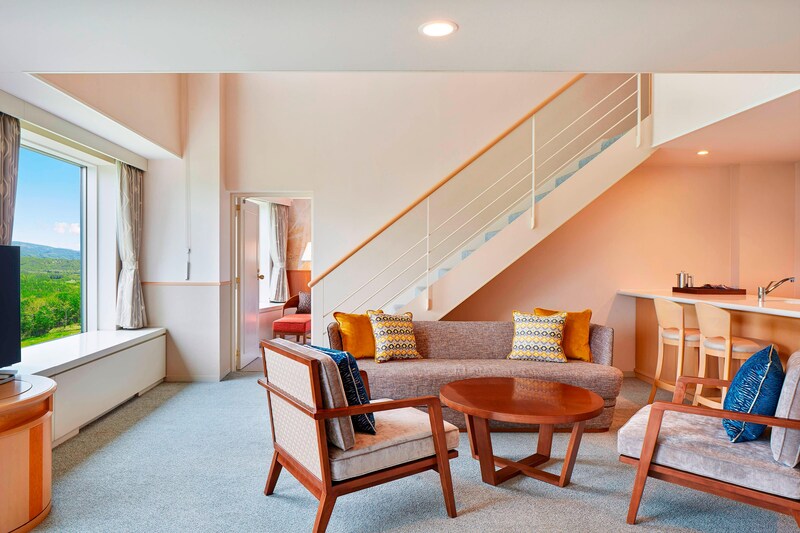 Each room has a spacious living room with natural and sedate furniture which is the best for family or group. 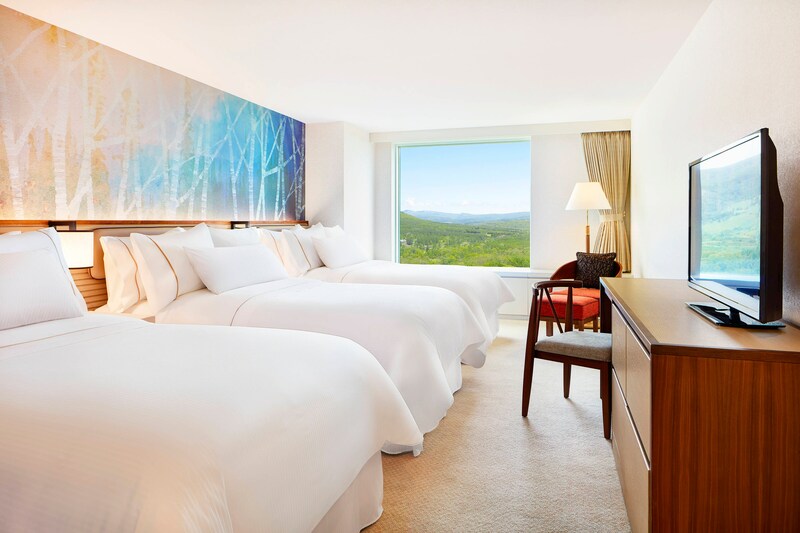 Westin&apos;s signature pillow-top mattress and crisp sheets to our down blankets and plush pillows, the Heavenly® Bed is designed with restorative sleep in mind. Because good sleep is critical for both mental and physical health, every detail of the Heavenly® Bed helps promote superior slumber so you can wake up renewed and refreshed. The wallpaper on the headboards of the beds feature imagery representing the four seasons of the area surrounding Lake Shikotsu. The design with brilliant blue Lake Shikotsu seen in the spaces between the Japanese white birch trees creates a relaxing environment that seems as if you are in the midst of the forest. 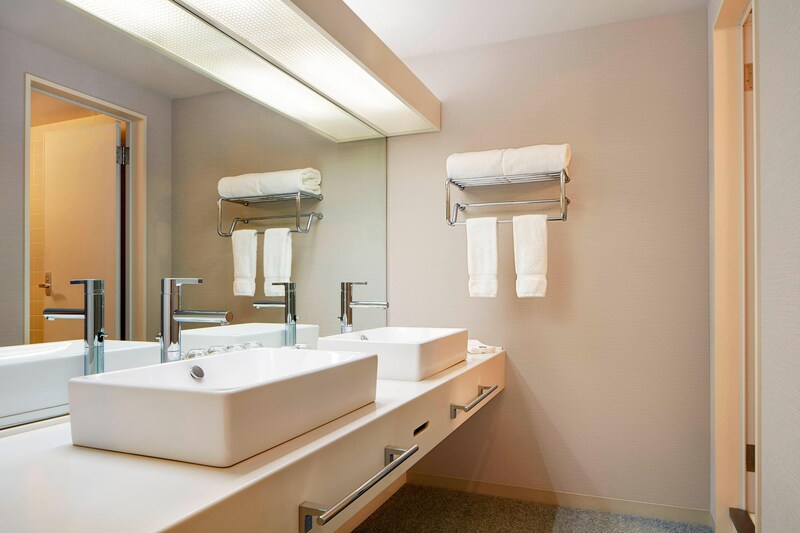 Japanese bathrooms have a soaking tub, handheld shower and separate toilet in the living room.